Miron C. Izakson was born in 1956 to a family that was among the first orange growers in pre-state Israel. He studied law and Jewish philosophy at the Hebrew University of Jerusalem and at Tel Aviv University, and was chairman for literature on the Israel Culture and Arts Council. 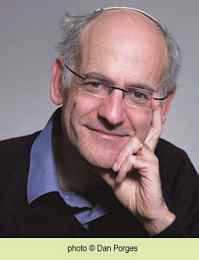 At present, Izakson lectures on literature at Bar-Ilan University and he is a member of the board there. He is also Honorary Consul for Luxembourg in Israel. Izakson has published many books of poetry and a number of novels, to widespread literary acclaim. Four collections of his poems have been set to music by various musicians and released as CDs. Izakson has been awarded the President's Prize (2001), the Natan Yonatan Prize for Poetry (2012) and the Brenner Prize for Poetry for This Time (2013).